Prizes for best lit-up tractor and truck. Departs at 8:30pm. Refreshments at Pier House, Courtmacsherry. €20 per tractor or truck entry. 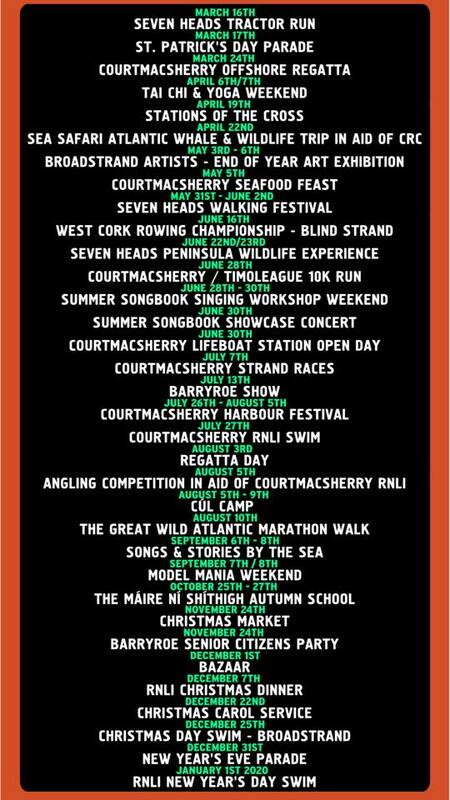 All proceeds in aid of Courtmacsherry Rowing Club Building Fund.